Syllabus of the Online Course (Subject): International Trade of the European Union. 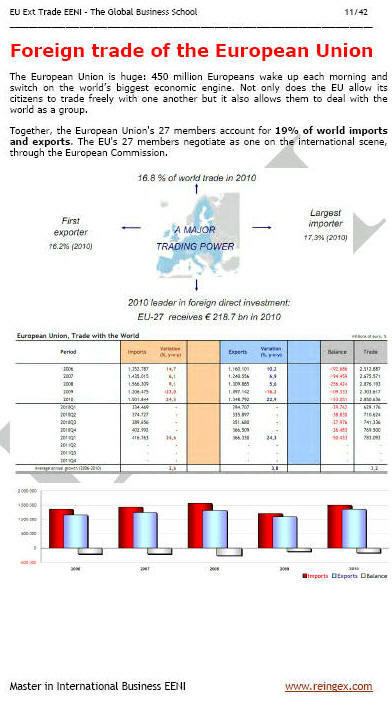 Introduction to the European Union's Trade Policy. The twenty-eight nations of the European Union representing 19% of the world trade. All the countries of the European Union negotiate as one, through the European Commission. 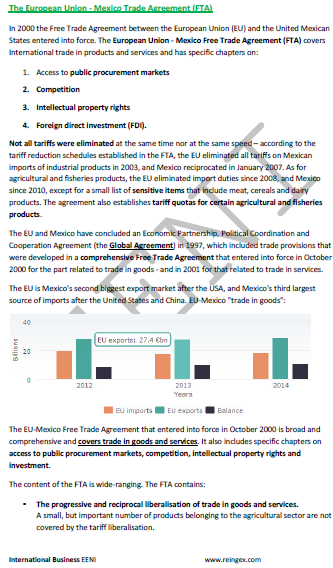 The European Union negotiates foreign trade relations with external nations through the international trade policy of the European Union. Unilateral dimension. Generalised System of Preferences: Everything But Arms and GSP+.